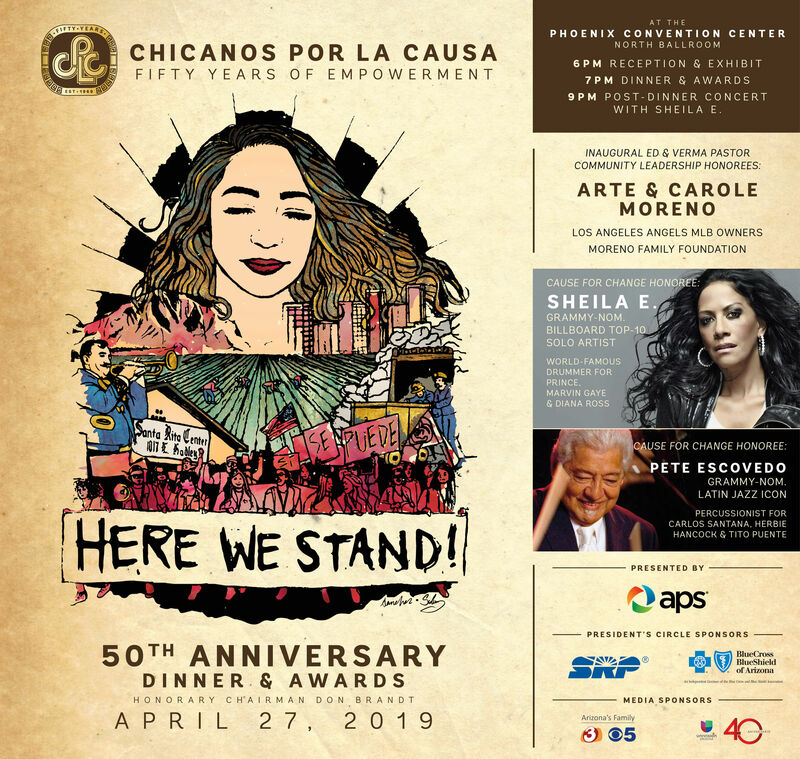 Chicanos Por La Causa's 50th Anniversary Dinner celebrates fifty years of empowerment. What began with a series of school walkouts to address discrimination in the education system has grown to more than 40 programs and services in underserved communities across three states impacting hundreds of thousands of lives every year. 9pm - Post-Dinner Concert with Sheila E.
For custom sponsorship packages, contact Mary Hurtado at 602-257-6728 or Mary.Hurtado@cplc.org.